Although Rosephanye often selects sacred texts for her music; it is the uniqueness of her writing style that enables it to serve both in worship and concert. 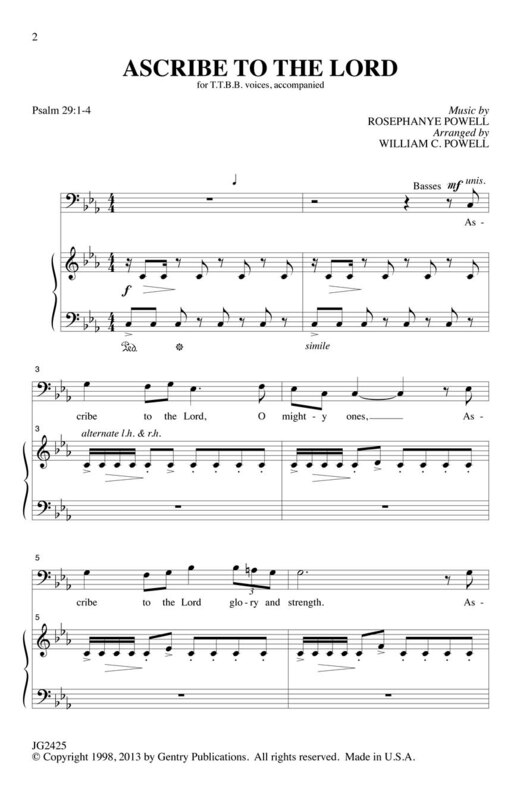 Ascribe to the Lord has been one of her most popular compositions and this arrangement for men's voices by her husband; William; will spread its popularity even further. 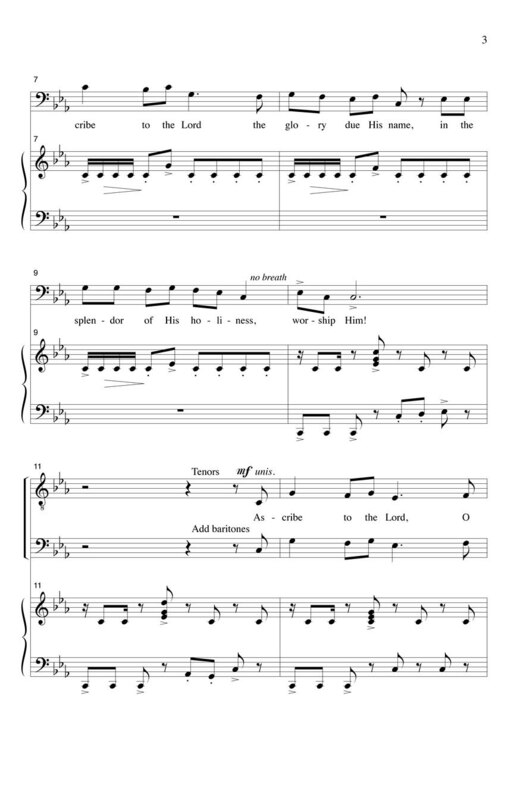 A driving accompaniment and roaring musical lines bring a fresh wind to Psalm 29:1-4.